Insulation Guru is your trusted source for complete commercial building insulation. 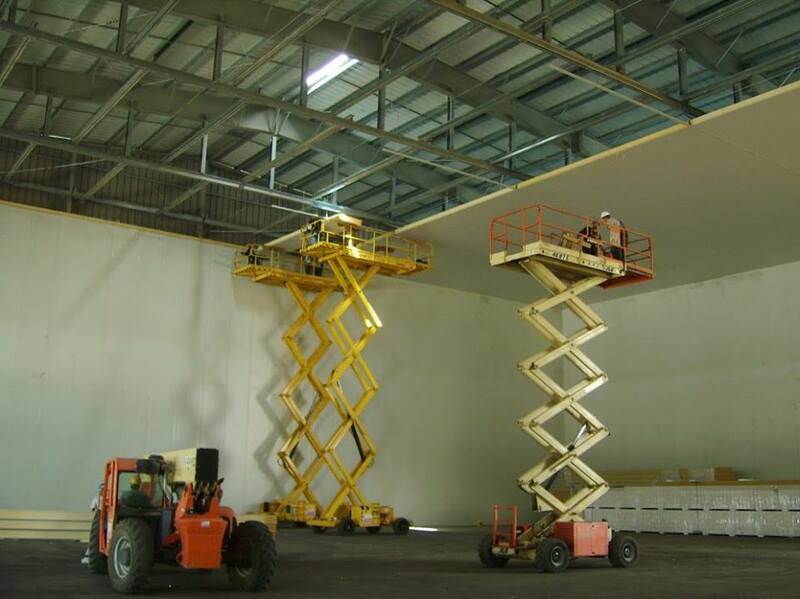 Over the years, we’ve worked on many commercial structures and know how to perform the work efficiently while maintaining our excellent reputation for quality. Commercial building insulation saves your company on energy costs and creates a more comfortable environment, combined with proper ventilation and air sealing. 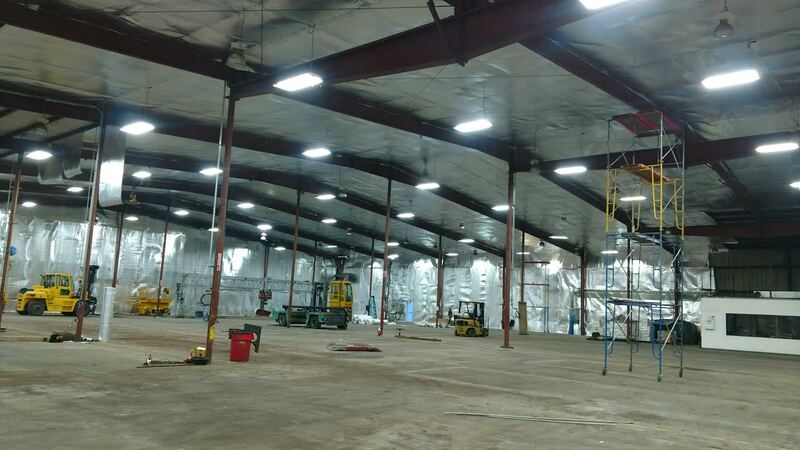 Commercial building radiant barrier installation can be customized for your specific business needs. 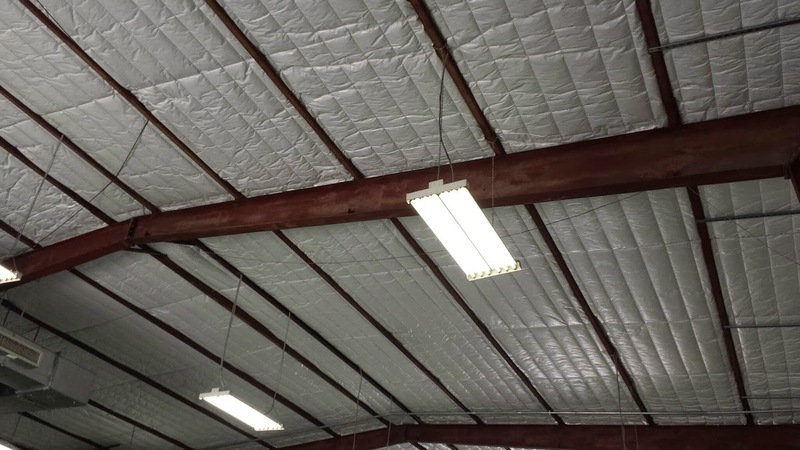 For example, some radiant barrier materials are FDA approved for livestock and poultry. We’ll discuss the options with you that best suit your needs. 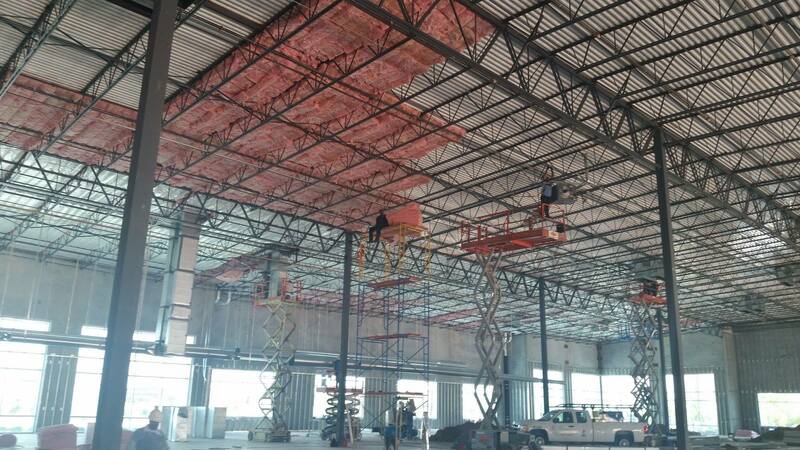 Manage your commercial building temperature more effectively with a radiant barrier from Insulation Guru. Commercial weatherization includes penetration sealing and water proofing to establish a clean, healthy work environment, as well as provide energy efficiency and increase workplace safety. All of this translates to improvements in productivity, as well as saving costs in running your business. Let Insulation Guru make it happen for you. Commercial structure ventilation is important not only for better temperature control, but also for air quality. The end result is a better work environment and better productivity. 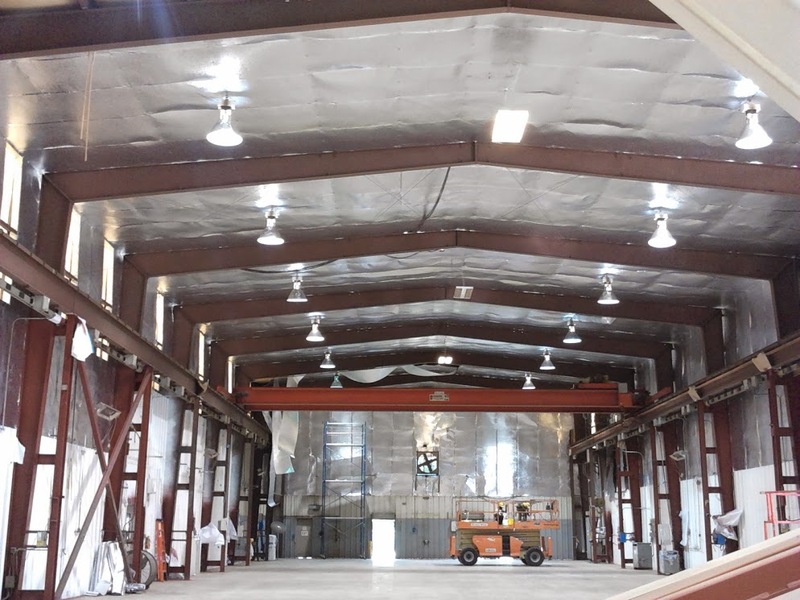 Combining proper ventilation with elements like insulation and a radiant barrier optimizes your building’s energy efficiency, with expense savings you can see. Call Insulation Guru today. ARE THERE OPTIONS FOR INSULATING MY BUILDING? Yes. 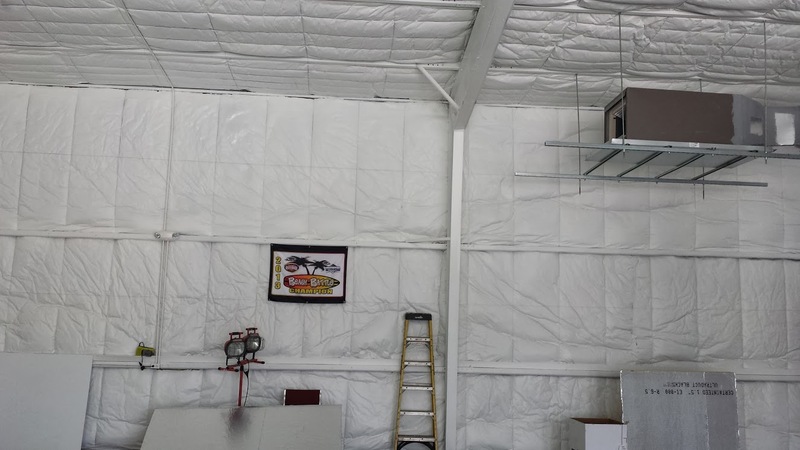 There are several types of commercial insulation that can be used on many types of substrates. To name a few: Insulated white roofs are becoming more popular by having the insulated white coating applied to the roof with a base coat. Drill and fill or through the header with blown in L-77 loose fill insulation helps with thermal boundaries, noise reduction and the overall health of the structure. 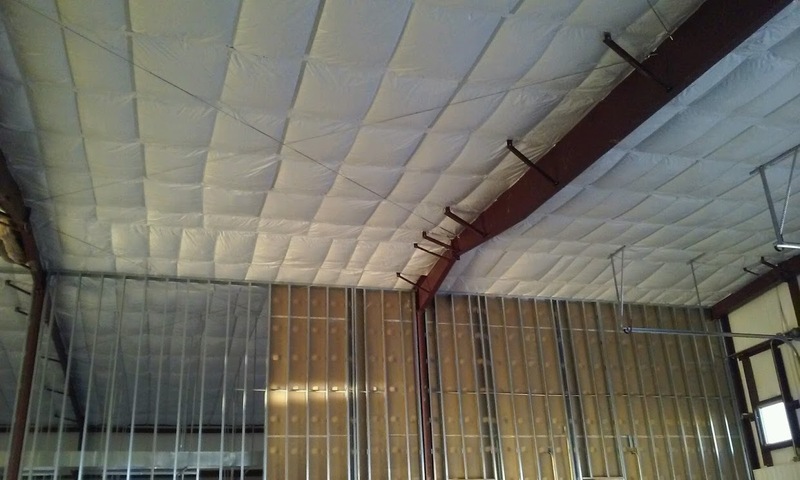 Polynum radiant barrier products are used worldwide in warehouses, over grid ceilings, in automobiles, under structures, in walls, as curtains. Polynum is a reflective insulation that has an R-value as well as an E-value that blocks the radiant heat from entering a building or area. There are many products from polynum for different types of applications. Polynum super, polynum big, polynum multi and polynum ultra. 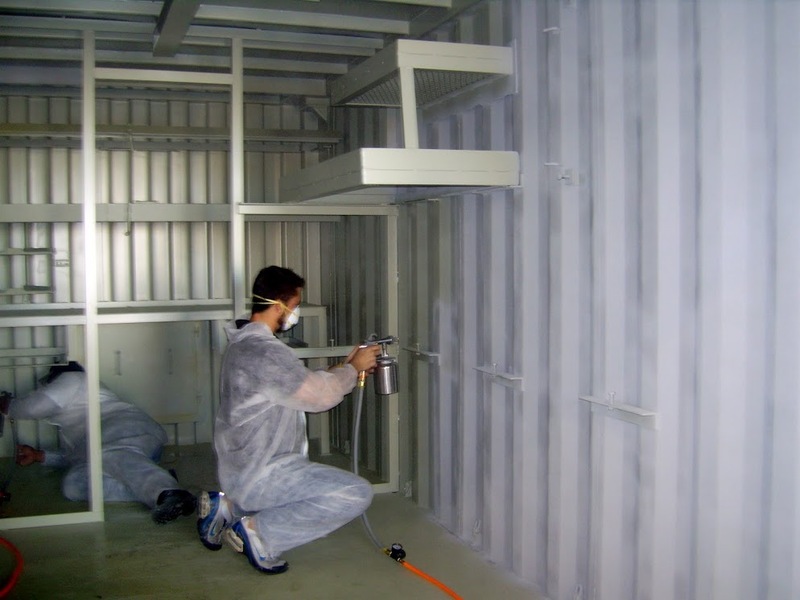 Ceramic insulation is a spray on insulation that can also be sprayed on most substrates, metal, concrete, brick etc. reinforced vinyl insulation adhered with a clip or grid system that comes in different colors and at different R-values can be reinforced for longevity. Insulation Guru uses only the best when installing vinyl insulation. (Only reinforced), conventional batt insulation used in a system or by itself for almost any area of any building. FSK (Foil faced insulation) for areas specified. There are more options that can be discussed when insulating your structure. CAN I HAVE INSULATION INSTALLED TO REDUCE NOISE OR STOP UNWANTED SOUND FROM ENTERING MY BUILDING? Yes. There are several options from quiet zone batts to ceramic commercial insulation to stop vibrations and regular noise. There are also insulated curtains that can be specially designed for almost every area. 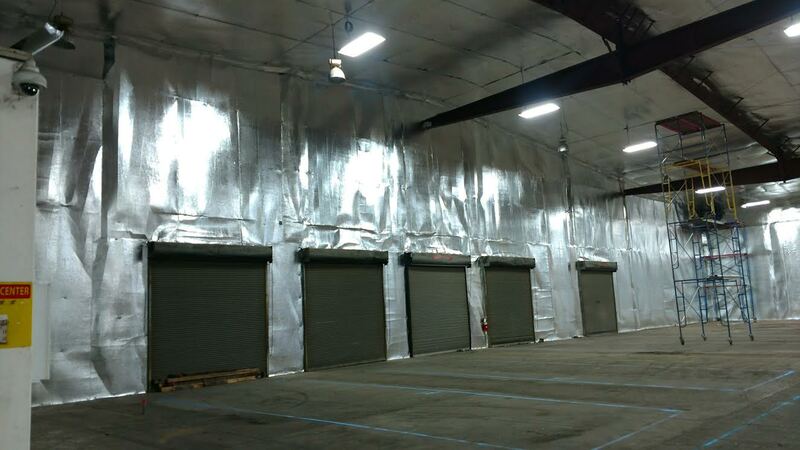 Commercial insulation helps in several ways. From helping with noise reduction to better thermal boundaries. Commercial insulation works. Lowering the utility bills, creating a healthier place to work and bringing comfort raises productivity. 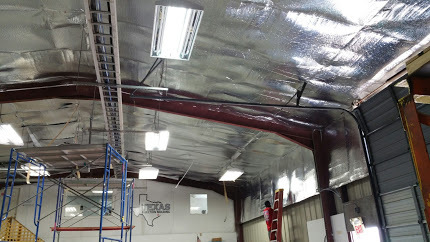 Commercial insulation Houston.